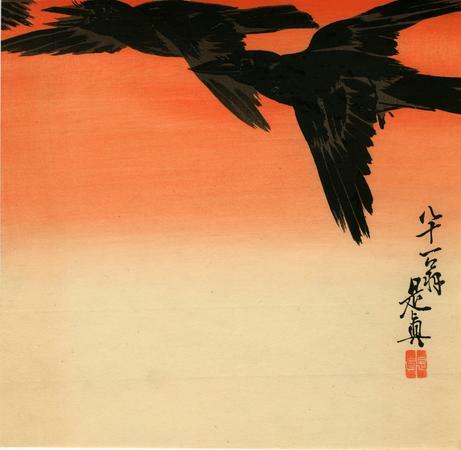 The reddish sky, an effect achieved by bokashi (wiping the blocks after inking), differs from print to print." Quoted from: The Age of Yoshitoshi: Japanese prints from the Meiji and Taishō periods..., this is Part V of the Catalogue of the Collection of Japanese Prints of the Rijksmuseum, Amsterdam. "Compared to his lacquerware and painting, Zeshin produced relatively few prints... [He] began to include his age in signatures on work done after his late 60s." Quoted from: The New Wave: Twentieth-century Japanese prints from the Robert O. Muller Collection, p. 78. The Muller archives indicate that this print was published by Daikokuya. Illustrated: 1) inUkiyo-e: The Art of the Japanese Print by Frederick Harris, fig. 168. 2) in a color reproduction in The Art of Japanese Prints by Richard Illing, 1980, p. 159. 3) in color in The Legacy of Japanese Printmaking/Le Rayonnement de l'estampe Japonaise by Barry Till, the Art Gallery of Victoria, 1986, pl. #V.
4) in black and white in Imperial Japan: The Art of the Meiji Era (1868-1912) by Frederick Baekeland, Herbert F. Johnson Museum of Art, Cornell University, 1980, p. 145. The original publication of this print appeared in 1888. 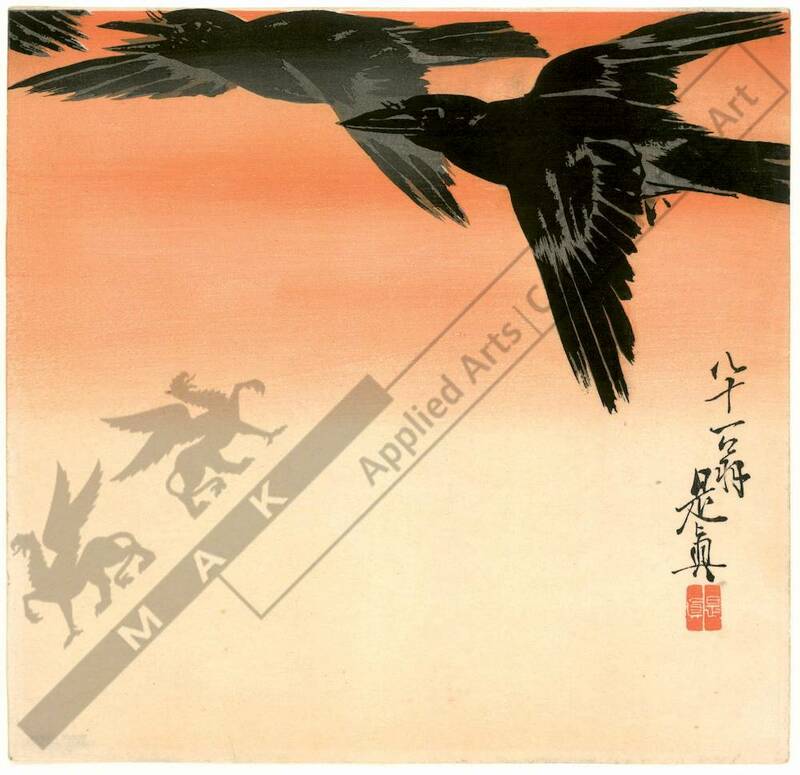 While the publisher seal is not present it is most likely Matsuki Heikichi. Late editions continued until at least the 1920s to 1930s. This is considered by many to be Zeshin's most famous print. There is another copy of this print in the collection of the Art Gallery of Greater Victoria.